The Patriots are looking to build on a 10-win 2017 season. 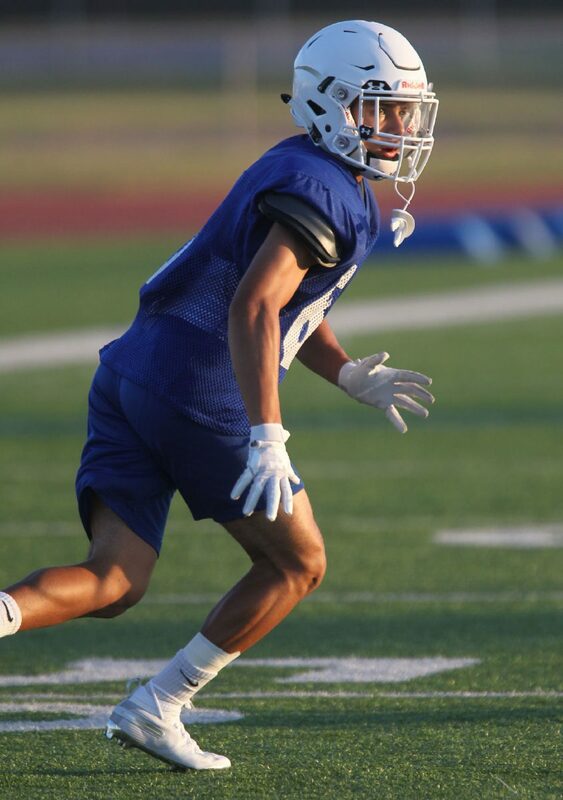 MISSION — At long last, Mission Veterans wide receiver A.J. Gonzaque will be unleashed on the Valley. No more summertime 7-on-7 and no more scrimmages with their encouraging albeit meaningless results. Beginning Friday night, everyone will be keeping score. 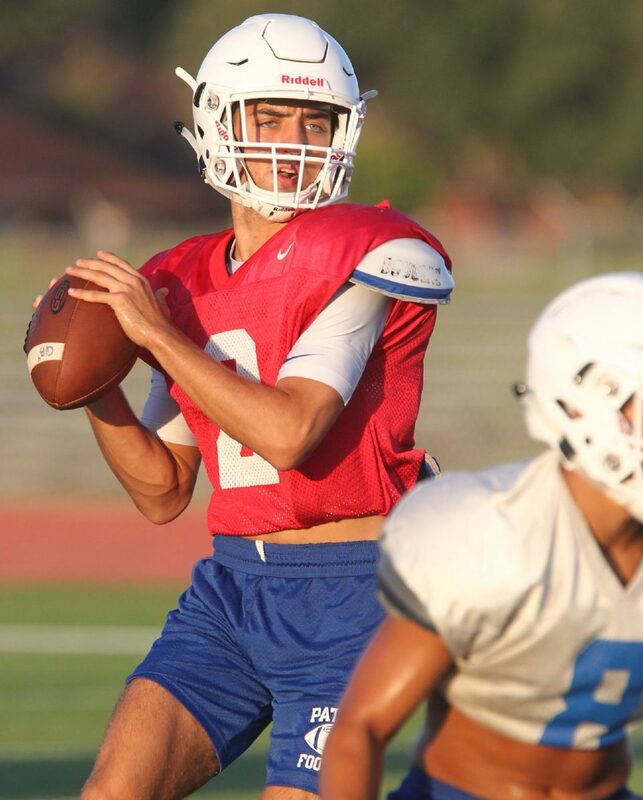 Gonzaque would have made his varsity debut as a freshman in the Patriots’ 2017 season opener against Harlingen High. He tore an ACL in spring 2017, keeping him off the field for the entirety of the Patriots’ 10-2 season. 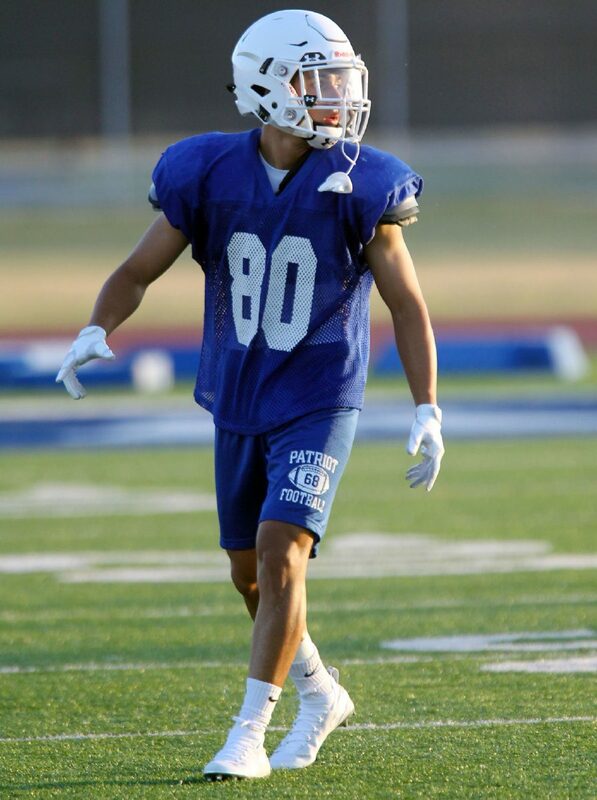 Mission Veterans safety Gus Garza during football practice at Mission Veterans High school on Thursday, August,23, 2018, in Mission. 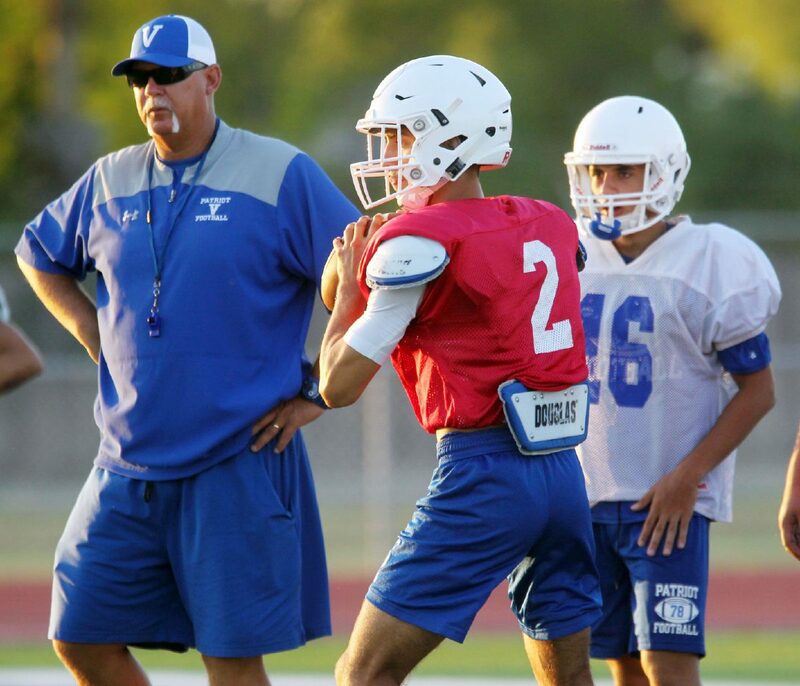 Mission Veterans Artie Flores during football practice at Mission Veterans High school on Thursday, August,23, 2018, in Mission. 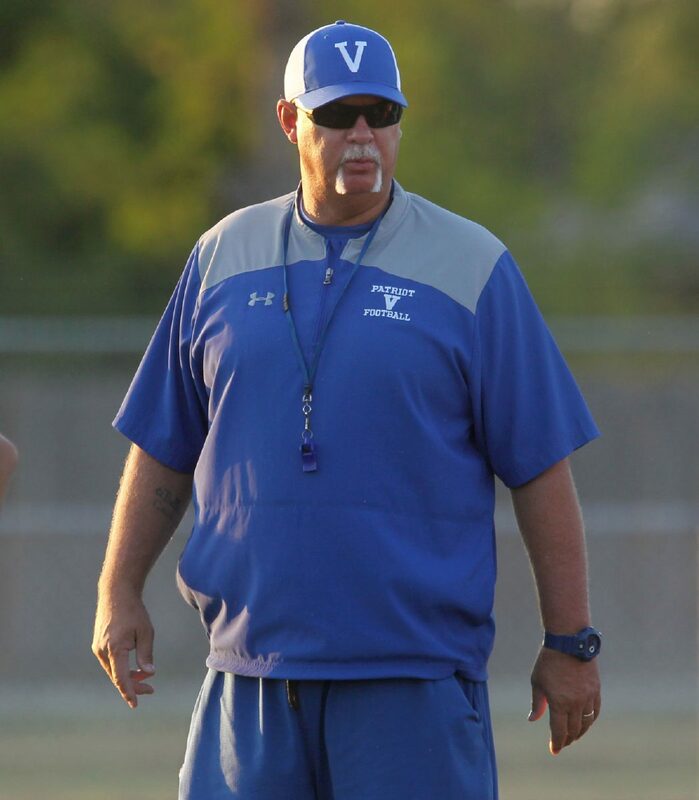 Mission Veterans varsity coach David Gilpin during football practice at Mission Veterans High school on Thursday, August,23, 2018, in Mission. 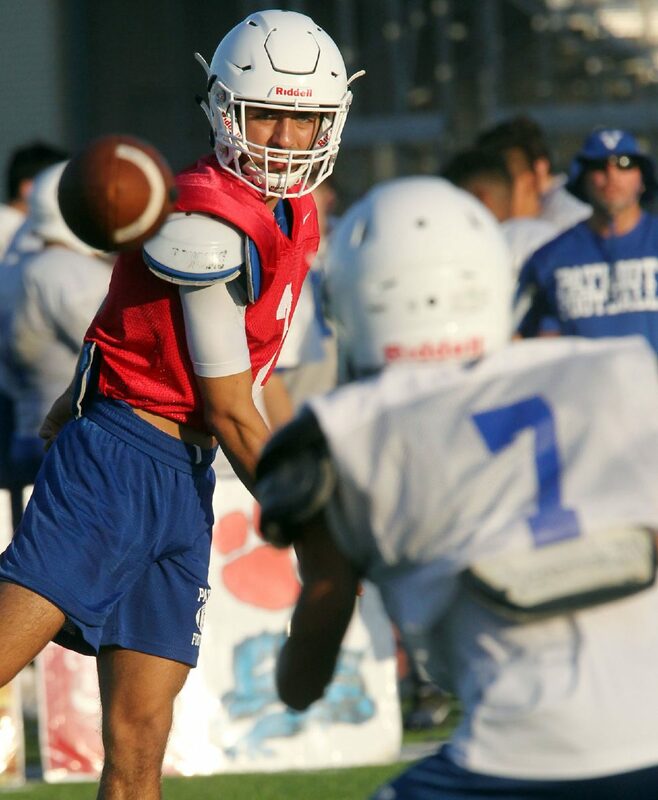 Mission Veterans Landry Gilpin throws to a receiver during football practice at Mission Veterans High school on Thursday, August,23, 2018, in Mission. 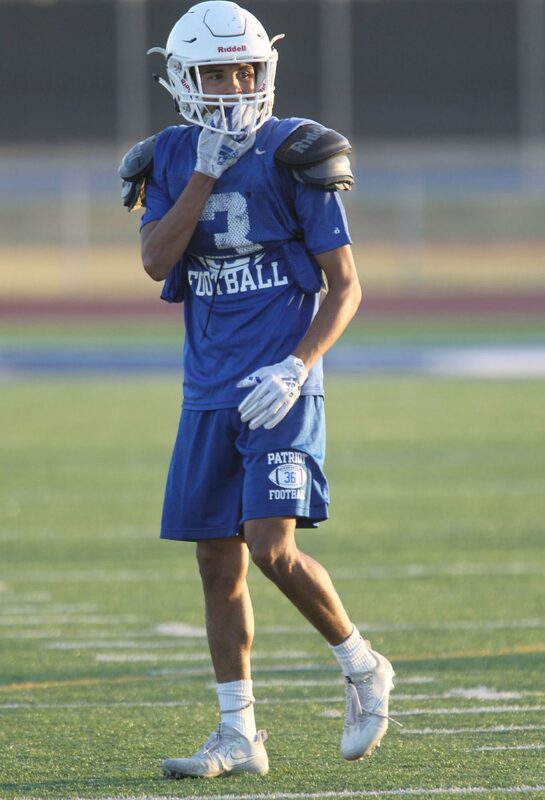 Mission Veterans Landry Gilpin looks for a receiver during football practice at Mission Veterans High school on Thursday, August,23, 2018, in Mission. 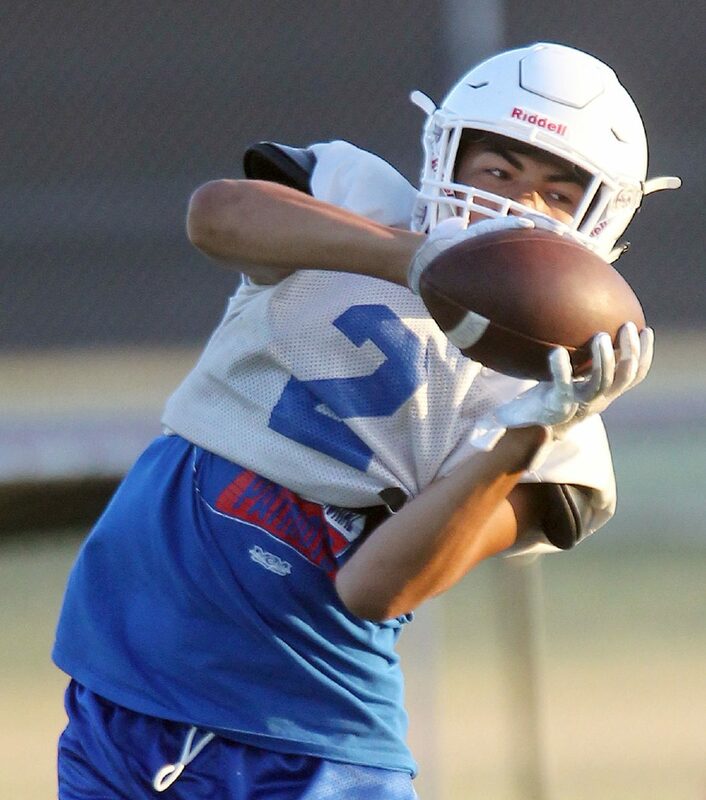 Mission Veterans AJ Gonzaque catches a pass during football practice at Mission Veterans High school on Thursday, August,23, 2018, in Mission. 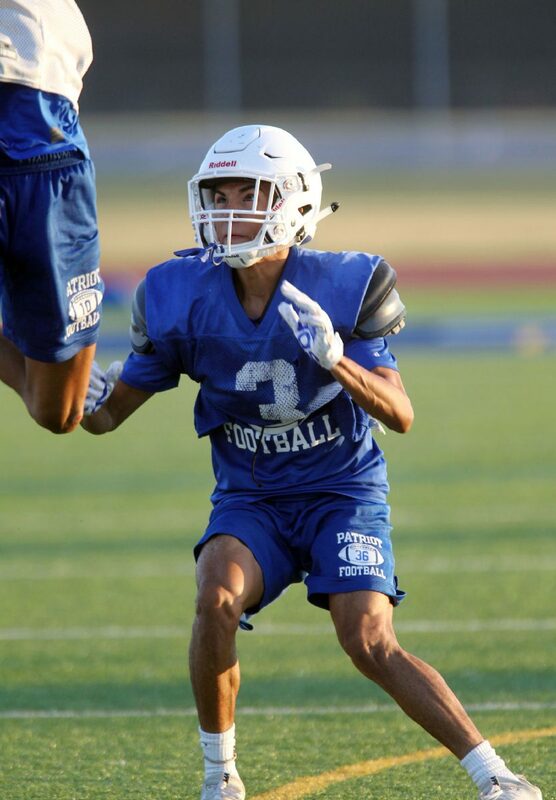 Mission Veterans safety Gus Garza defends a receiver during football practice at Mission Veterans High school on Thursday, August,23, 2018, in Mission.